Making reconciliation part of day-to-day life — RandallAnthony Communications Inc.
Dr. Joseph, who was recently appointed as an officer of the Order of Canada, believes that reconciliation starts with the individual – and with person-to-person interactions – and can then affect families, workplaces, communities and eventually the nation. “We are not going to transform the country unless all of us are engaged,” he says. Reconciliation Canada is working to bring people together though partnerships, community outreach programs and educational workshops. 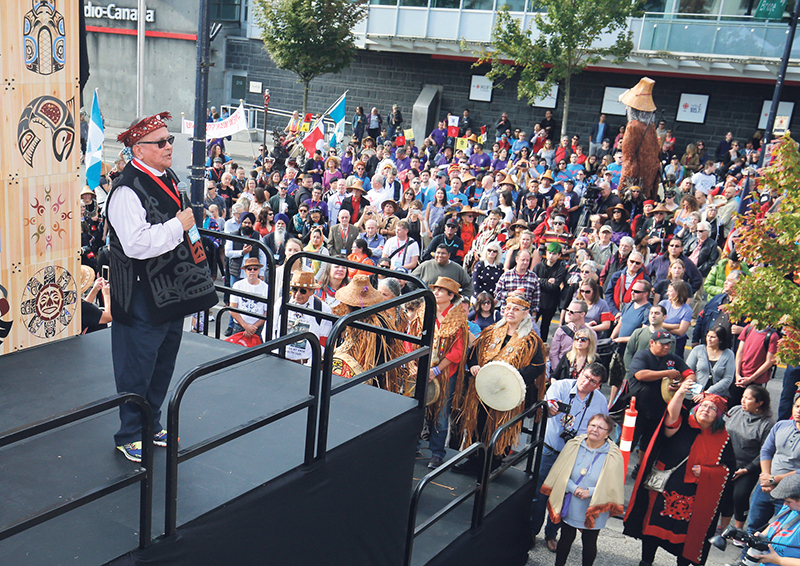 It also hosts events, such as the Walk for Reconciliation, which attracted 50,000 people in Vancouver in September 2017. Since each person has an important role to play in reconciliation, Dr. Joseph suggests carrying a “back pocket reconciliation action plan” that can map out – and remind us of – our personal contribution to advancing reconciliation. The plan can also be shared on social media with the hashtag #namwayut. Canada aspires to being “caring, compassionate, just, inclusive and equal,” says Dr. Joseph.